Boone carried 11 times for 47 yards and caught two passes for one yard over eight games this season. Analysis: Boone had a minor offensive role during the first half of the season when Dalvin Cook was sidelined with a hamstring injury, but saw action in only one of the final seven games. The undrafted running back had a quiet but solid rookie campaign, considering he managed to maintain a spot on the 53-man roster for the entire season. The 23-year-old will hope to push for the No. 2 job behind Cook as Latavius Murray is headed for free agency in 2019. Boone played just three snaps in Sunday's win over Detroit, all on special teams. Analysis: With Dalvin Cook back from a hamstring injury, both Boone and Roc Thomas will be almost exclusively limited to special teams. Boone had three carries for 11 yards in Sunday's loss to the Saints. Analysis: He played seven snaps on offense and could see increased work this week if Dalvin Cook and Roc Thomas remain sidelined with hamstring injuries. However, no backup to Latavius Murray has received significant work while Cook has been out. Boone had four carries for four yards and didn't have a reception on his only target in Sunday's win at the Jets. Analysis: Neither Boone (eight snaps) nor Roc Thomas (three snaps) got much playing time behind Latavius Murray with Dalvin Cook out due to a hamstring injury. Neither has been much of a factor in the offense while Cook has been out. Boone had one carry for 20 yards in Sunday's win over Arizona. Analysis: Neither Boone (three snaps) nor Roc Thomas (five snaps) got much playing time behind Latavius Murray with Davlin Cook out with a hamstring injury. It's not clear if Boone or Thomas is the No. 3 running back, but neither is much of a factor in the offense. Boone had one carry for one yard on his only snap on offense in Sunday's win at Philadelphia. Analysis: Roc Thomas played 14 snaps on offense as the backup to Latavius Murray with Dalvin Cook out with a hamstring injury. However, it doesn't look like Boone or Thomas will have much of a role in the offense even with Cook hurt. Boone had one reception for one yard on his only target in Thursday's loss at the Rams. He played four snaps on offense but did not have a carry. Analysis: Both Roc Thomas and Mike Boone were used on offense in the game even with Dalvin Cook returning from a hamstring injury. However, neither Thomas nor Boone will get more than a few plays on offense as the third and fourth running backs. Boone had two carries for 11 yards and one reception for no yards in Sunday's loss to Buffalo. Analysis: Boone played 13 snaps on offense as he was active the first time this season with Dalvin Cook missing the game with a hamstring injury. Boone is a clear No. 3 running back and may not get any carries when Cook and Latavius Murray are both healthy. Boone (groin) is listed as active for Sunday's tilt against the Bills. Boone (groin) was a late addition to the Friday injury report, getting a questionable tag for Sunday's game against the Bills, Courtney Cronin of ESPN.com reports. Analysis: With Dalvin Cook (hamstring) already ruled out, the Vikings were counting on Boone to serve as Latavius Murray's top backup. The job will fall to fellow undrafted rookie Roc Thomas if Boone isn't able to play. Andrew Krammer of the Minneapolis Star Tribune reports that Boone was a full participant at Friday's practice. Boone (coach's decision) is listed as inactive for Sunday's game against the Packers. 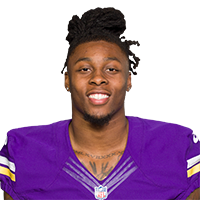 Analysis: Boone is listed as a healthy scratch for the second consecutive week alongside fellow reserve Roc Thomas, leaving Dalvin Cook and Latavius Murray as the only running backs in uniform Sunday. Boone is a healthy inactive for Sunday's game against the 49ers, Dianna Russini of ESPN reports. Analysis: The undrafted rookie secured his spot on the team in camp, but the Vikings will stick to the duo of Dalvin Cook and Latavius Murray in Week 1. He had a solid preseason showing, profiling well on the ground and through the air. Boone has a spot on the Vikings' 53-man roster, Chris Tomasson of the St. Paul Pioneer Press reports. Analysis: Boone and fellow undrafted rookie Roc Thomas spent all of training camp and the preseason battling for the No. 3 RB job behind Dalvin Cook and Latavius Murray. The matter likely was settled in the final preseason game when Boone had 109 scrimmage yards and Thomas suffered an ankle injury. Boone doesn't figure to see many snaps on offense, if any, Week 1 against the 49ers. Boone had 15 carries for 56 yards and two receptions for 53 yards in Thursday's preseason win over Tennessee. Analysis: Boone had a strong game while Roc Thomas struggled (four carries for 12 yards) and left with an ankle injury. Boone may have won the No. 3 running back job as a result. Boone (knee) participated in Sunday's practice, Chad Graff of The Athletic Minnesota reports. Analysis: Boone was forced out of Friday's preseason game against the Seahawks due to a knee bruise, but it appears it was just a minor ailment given that he is already back at practice. Boone did not put together a great performance before exiting the game, as he rushed nine times for just 26 yards. He'll continue to battle Roc Thomas for the Vikings' No. 3 running back slot. Boone bruised his right knee during Friday's preseason game against the Seahawks, Courtney Cronin of ESPN.com reports. Boone had 13 carries for 91 yards, including a one-yard touchdown, in Saturday's preseason loss to Jacksonville. Analysis: Boone was the first of the candidates for the No. 3 RB job to get carries in the game, and he had a strong performance. Roc Thomas also played well (5 carries for 25 yards) and had a big game in the first preseason contest. The competition between Boone and Thomas for the No. 3 job remains close, with Mack Brown falling behind due to a poor first game and missing the second game with an injury. Boone had 12 carries for 22 yards and three receptions for 21 yards in Saturday's win at Denver. Analysis: Boone got the first carries of the three running backs competing for the No. 3 job, but was the least impressive. With Roc Thomas scoring two touchdowns with 131 total yards, Boone may have fallen behind Thomas and Mack Brown. However, the third running back role may not be decided until late in the preseason. 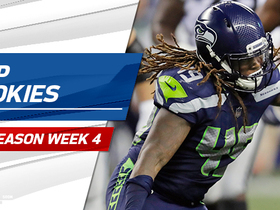 Take a look at the top runs from Week 6 of NFL action. 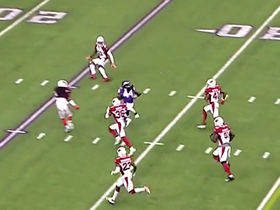 Minnesota Vikings running back Mike Boone finds a gap and rushes up the middle for a 20-yard gain. 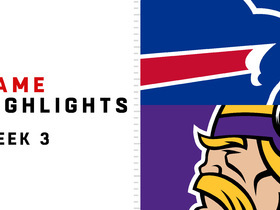 Watch the highlights from the Wee 3 match up between the Buffalo Bills and Minnesota Vikings. Lamar Jackson, Baker Mayfield, Shaquem Griffin and more. Check out the best rookie plays during Week 4 of the 2018 NFL preseason.